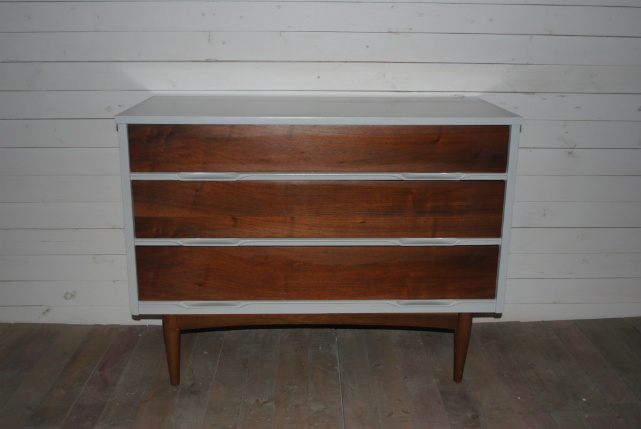 As I get ready to embark on another furniture painting project, my master bedroom mid century modern dresser, I wanted to create a post about some inspiration photos. Currently the dresser is all wood, and I've got grand ideas on how to paint it. Pics to come soon. 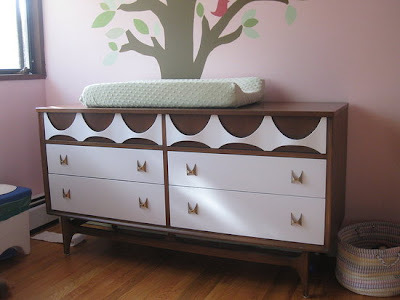 Another painted mid century modern dresser similar to mine. Similar dresser with an opposite effect from the ones above. Stay tuned for my dresser project. Wish me luck! Hey Sarah! Thanks for stopping by. Aren't these inspirational?! You can find so many of these types of dressers on craigslist for cheap. And they are so easy to makeover. Good luck. Your blog is so cute! Great piece of furniture! I really appreciate your work. All above pictures are expressing your appreciation.